Biophysical Impact Assessments which aim to determine the level of impacts in the ecology and biology of a site and its surrounds. These include plant and animal surveys which are often seasonal in response to the specific biological attributes of a species and when it is most likely to be detected. These often include rare plant surveys, migratory bird surveys and species at risk surveys. Environmental Site Assessments (Phase 1 and 2) aim to determine if past or current activities have resulted in a site becoming contaminated. The Phase 1 ESA is a detailed site inspection, records searches including historical records and historical aerial photographs. If a risk of contamination is found to be likely then the assessment proceeds to a Phase 2 ESA which involves intrusive sampling for potential contaminants which are likely to occur. This helps protect the new development by providing a safe environment and remediation is often required to make a site suitable for the proposed development. Wetlands Assessments are undertaken to determine potential impacts on wetlands. Although similar in many ways to Biological impact Assessments they focus specifically on the wetland environment. This involves delineation and classification of a wetland and rating of its significance. Early planning to identity which Environmental Assessments are required as part of your project is useful in the planning process particularly considering some of the assessments are subject to seasonal requirements. As Environmental Consultants Calgary, Edmonton and also servicing B.C. we undertake a range of Phase 1 and Phase 2 Environmental Site Assessments, Biophysical and Biological Assessments, Migratory Bird Survey’s and Wetlands Assessments. We are here to assist our clients so please give us a call to discuss your next project. Although it is not something that is on our minds at this time of year, as we turn the corner into spring then summer wildfire protection is something which needs to be considered. This is particularly important for landowners near to forest but also grassland areas need to be considered. Risks vary seasonally based upon levels of snow melt, rain, level of vegetation growth and levels of soil and vegetation moisture. Good soil moisture levels early in the season followed by a lack of follow up rain results in high levels of fuel from vegetation growth leading to higher potential summer risks from wildfire. It is worth remembering that even what appears to be a small risk can be heightened by lack of moisture and a quick drying off from high summer temperatures. Fire spread and intensity on days with low humidity and windy conditions increases the risk to persons and property. If you live in an area where there is a risk of wildfire now is the time to start thinking about the upcoming season and to prepare for this risk. There are many management and preparedness actions which can be taken to reduce the risk. For an assessment of your property for wildfire risk please give us a call. As Environmental Consultants based in Calgary and Edmonton we service all of Alberta and British Columbia.  Our experience in Wildfire combined with Biophysical And Biological Impact Assessments along with Phase 1 ESA’s allows us to assist our clients with a range of assessments.